· All persons proposing to be joined in marriage within the State of New Hampshire must first obtain a marriage license. · Marriage license applications may be applied for at any town or city clerks’ office in the state. It does not have to be the community in which the couple lives or is having the ceremony. 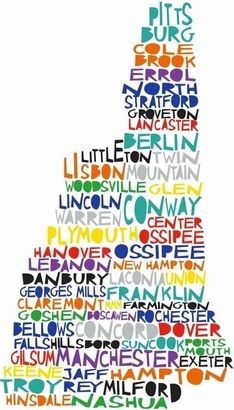 · To be married in NH you do not have to establish residency. · Once a valid license is issued, the couple will be free to marry within any city or town in NH. · Both parties must be present to complete the marriage license application. · It takes about half an hour to process and issue the license. · Marriage licenses are valid for 90 days from the date of issuance. · There is no waiting period and the license may be used the same day. · The State of New Hampshire does not require blood tests prior to marriage. · The fee to obtain a marriage license in New Hampshire is $50, payable in cash or credit card. · Applicants must bring a document that proves their identity and age such as a driver’s license, non-drivers ID or passport. · If either party applying for a marriage license has been married before they must present a certified copy of the document that ended their most recent marriage when applying for a new marriage license. · It is the responsibility of the officiant to return the marriage license to the clerk’s office within 6 days following the ceremony. Certified copies are available after the ceremony has taken place and the marriage license has been returned to the clerk's office. Certified copies are $15 for the first copy and $10 for subsequent copies issued at the same time. Certified copies of the record can be obtained for a fee from the city or town clerk where the license was filed if marriage was prior to 1989. If after 1989, a certified copy should be able to be obtained at any city or town clerk in the State. Ask the town clerk what their procedure is for getting a copy of the marriage license to you after the ceremony.